This machine is based on the improvement on the third generation of tube amps made elegant and dignified appearance, taste extraordinary. Are 1.2mm thick brushed stainless steel with silver craft box. 10mm thick front panel with silver wire drawing process. The rear panel with silver 6mm drawing process. Advanced wrinkle paint process cow cover, brushed aluminum cover cow craft. High-end drum type large metal knob, cellular machine feet. High-grade imported gold-plated RCA terminals signal. Signal switching sealed silver relay switch contacts, long life, no switching noise. Total power using imported high-current relay delay is turned on. Import stout gilded 4 ohms 8 ohms power output terminal (now all replaced by oxidation of high-grade gold-plated terminals amber). Blue power indicator tube. Red LED indicates power and preheat instructions. 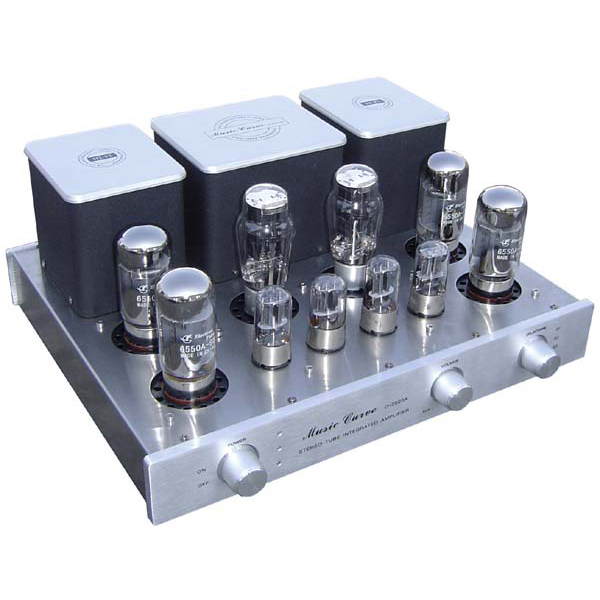 Preamp tube with the highly acclaimed 6N8P (6H8C) 4 only magnify inverted push. 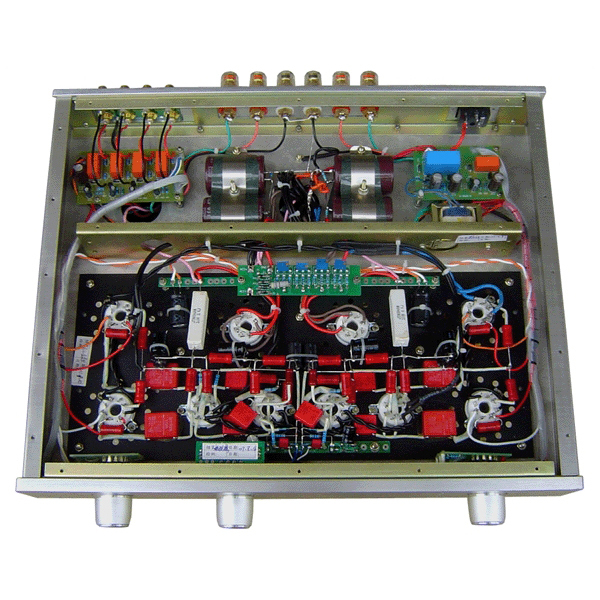 Internal amplification portion of a dual mono design. Power cow, cattle using special high-output silicon silicon steel sheet iron core, hierarchical segmentation between wound around the technology. Japan blue shell sealed advanced stepper ALPS potentiometer volume control. German Weimar red MKP polypropylene capacitive coupling. Dahongpao military metal film resistors. High pressure using 5Z3P × 2 gallbladder secondary rectification, four imported large pond filter. Improved reference classic lines, class AB push-pull amplification. 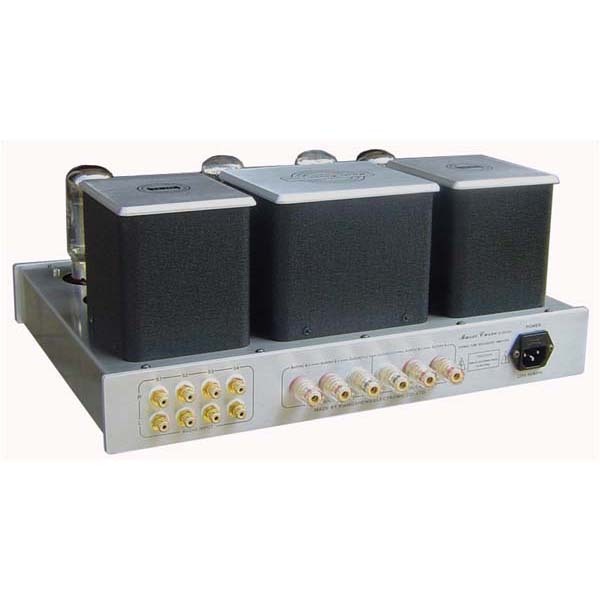 Order wider frequency response, phase shift smaller, higher fidelity. Dimensions (W × H × D): 430 × 180 × 345mm, including the knob terminal machine feet Dimensions: 430 × 190 × 390mm.